Designed for easy and comfortable handling, the AWT Scoop Coater covers screens evenly and uniformly with a smooth layer of emulsion. 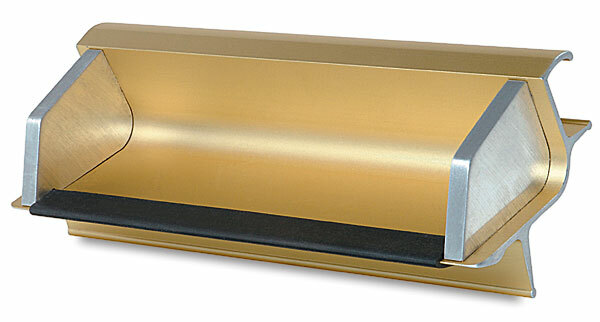 Made from gold anodized aluminum, it has permanent enclosures for quick cleaning without leaking. A rubber edge protector is included for safe storage. Always order a coater that is 1" larger than the area you are coating. For example, an 11" coater will cover a 10" area.